Osteoporosis is the most common bone disorder in the world. It results in weak or 'brittle' bones putting those afflicted at risk for fracture. Osteoporosis can develop in anyone, men or women, but is most likely to affect postmenopausal females. Fractures due to osteoporosis typically occur in the hip, spine, or wrist. These can be debilitating for the individual, often leading to end of life care in elderly patients. 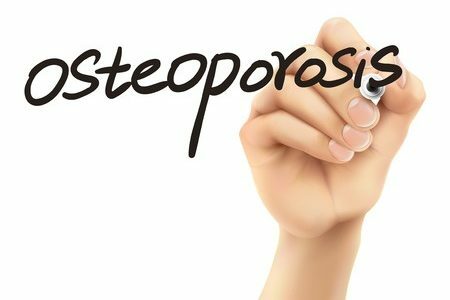 For this reason, it is important to know what one can do to prevent osteoporosis. Improving bone mineral density scores goes hand-in-hand with this. Bone mineral density scores are usually lower in individuals with osteoporosis than in those without. Diet and lifestyle choices play a big role in not only keeping bone mineral density scores healthy, but also in preventing unnecessary falls that can result in osteoporotic fractures. Prescription drugs and over-the-counter supplements are also used to prevent and treat osteoporosis. To learn more about this chronic disease and see what you can do to keep your bones strong and healthy read the articles below. You will get a much more in depth view of this preventable condition and arm yourself with the information needed to age gracefully.